Submitted by JoeKeresztury on Tue, 09/12/2017 - 04:33. A JWK Inspections Drone is shown at a local inspection. Drones, sometimes (rarely) are also referred to as an Unmanned Aerial Vehicle (UAV) - let's stick with calling it a Drone though, is basically a machine that is a flying computerized robot, that can be equipped with a camera. 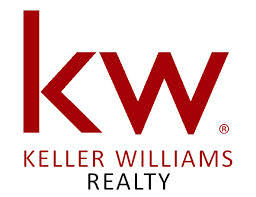 The Drone has fairly recently started being used for Inspections on Single Family Residential, Multi Family & Commercial Buildings and Properties including by us at JWK Inspections here in San Antonio and the surrounding South Texas areas. 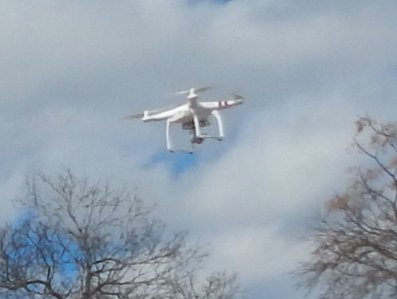 The Drone can be started up & be airborne within a couple of minutes on a project / inspection, etc. 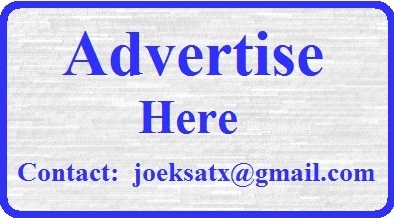 and besides giving the Drones operating inspector a view of the areas where he is directing the drone for a view at the subject property thru his controls and viewing screen, also photos and videos can be taken for further review and documentation for the inspection report. High definition photos help with closeup views, especially at areas where the drone didn't have close enough access. 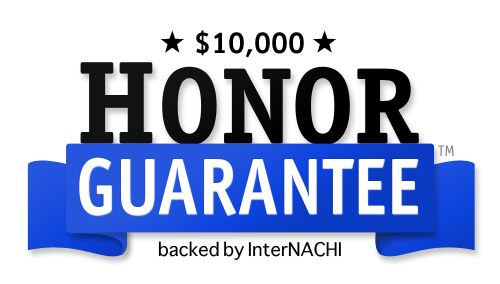 Depending on the size of the subject property and / or building the drone flight with what it needs to accomplish can be completed within 15 - 30 minutes, even on a fairly large commercial building and property. The use of a Drone is a valuable tool & addition to any type property inspection, including for closeup views of high building areas and also for higher views of building and the entire site. 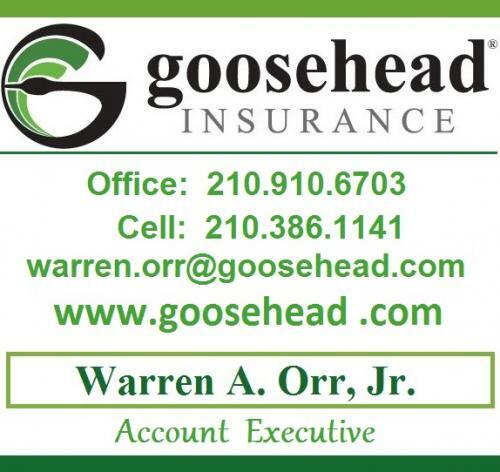 The Texas Real Estate Commission (TREC) Standards of Practice (SOP) does not require inspectors to get on any roof, especially including of course steep roofs and / or high roofs including 2 stories or taller. 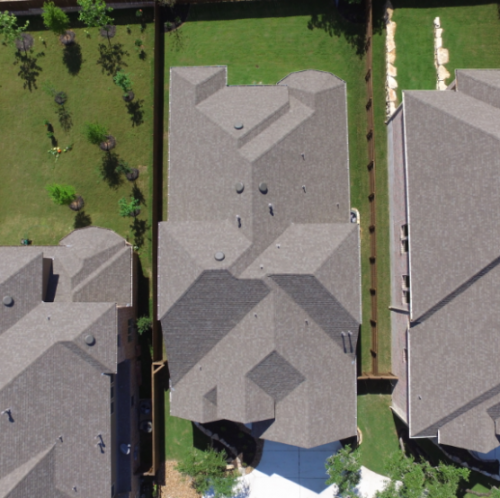 The use of a drone can assure that a proper, helpful review with pictures for the report will be completed on high areas of buildings including the unnacessible, unviewable areas of roofs along with overhead site views of the entire site and building(s) for a report. 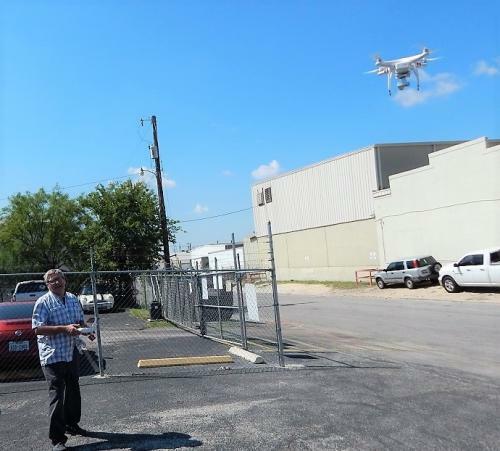 JWK Inspections Associate Dan Sawatzki is shown with the Drone Controls along with the Drone takeoff at a Commercial Property Inspection in the San Antonio, TX area. 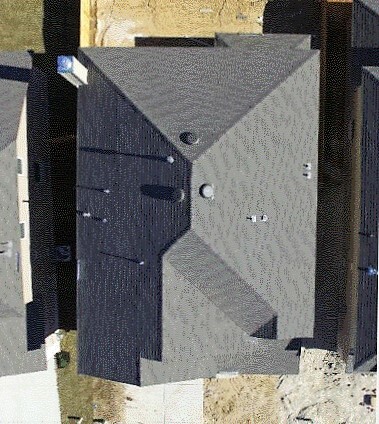 This Drone article / blog will concentrate on Composition Shingle Roofs. 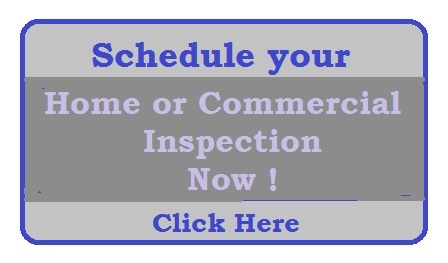 Other additional blogs here will include reviews of our Drones at Tile Roofs, Metal Roofs and numerous types of Commercial Property Roofs other than those mentioned, including Built Up Roofs (BUR)- Tar & Gravel, Modified Bitumen, TPO, etc. 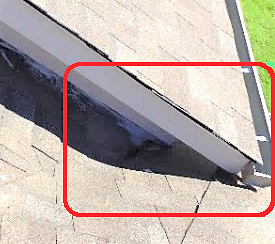 The Drone Roof Inspection shown above & below identified 3 issues on this side of roof at this 2 Story high roof that was not visible from the ground of this area shown. 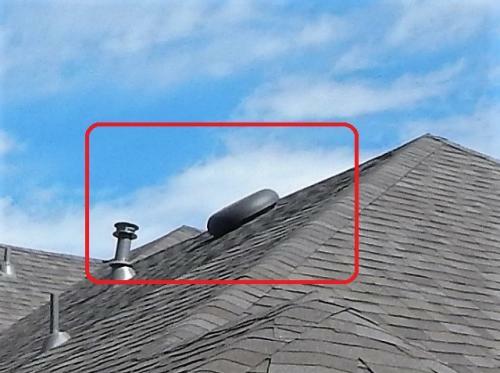 Issues detected from the Drone views and pictures include: 1- Plumbing roof stack (vent) is not a minimum 6" above roofing as required. 2- No saddle (cricket) is present behind chimney chase at the high side to channel water, especially needed with the hip so close directing water flow to back of chase. 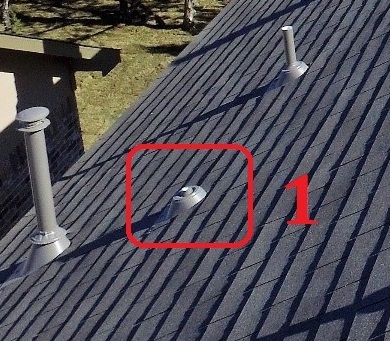 3- Gas vent (flue) pipe is not a minimum 2' above ridge which is well within 10' of it. 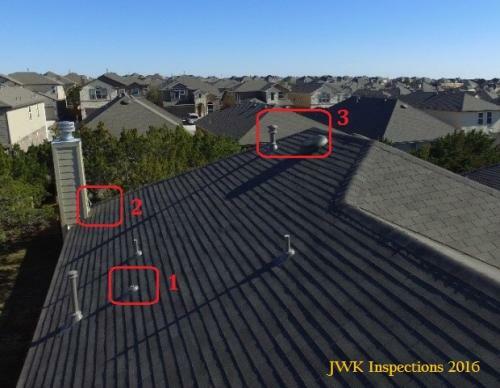 The illustrations that are shown at bottom row here that are also numbered 1,2,3 show what the actual requirements are for the issues noted from this drone roof inspection at a San Antonio area Home Inspection by JWK Inspections. 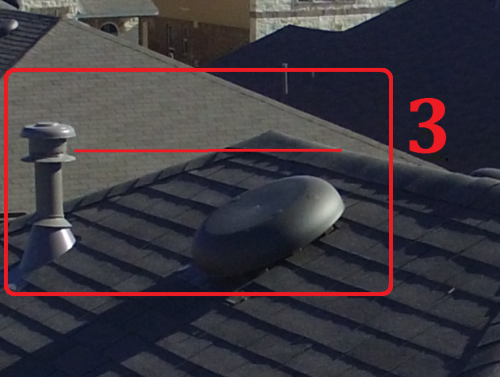 At a roof inspection with the drone, the sding areas over the roof did not have proper clearance. 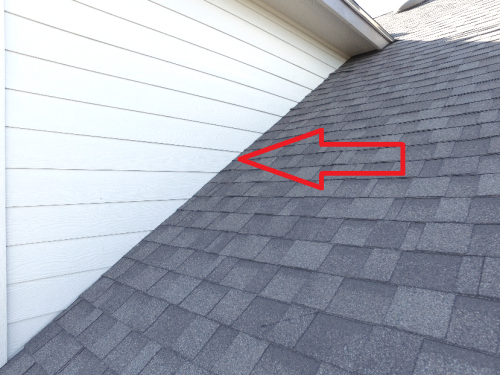 There should be a 2" clearance of siding (and stucco) over roof areas. Trapped moisture under siding can't dry out and will be wicked up into the materials that will accelerate deterioration of the siding and paint. The illustration at the right is for Hardi Siding installation requirements. Besides the 2' clearance needed, also the cut edges of the siding should be properly sealed / painted. The angled cuts remove the factory finish / skin of the siding exposing the interior cement fiber, which should not be exposed to the exterior elements. 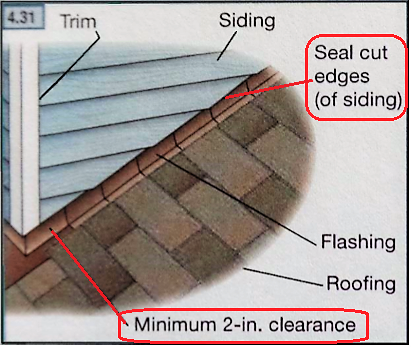 The areas at subject property shown most likely did not have the cut edges sealed, as the siding is down on roofing (no clearance) and cut edges are not accessible for sealing. 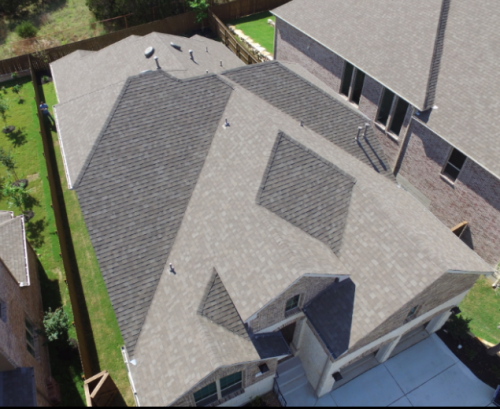 Above & below- JWK Inspections Drone used at another home inspection for the roof review of this San Antonio area home with a steep roof that also includes a 2nd story roof. 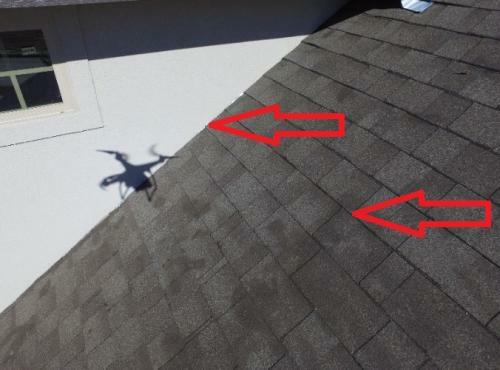 See the drone identified issues below photos. This area shown (2 views) is a rain water flow trap, blocked by a wall projection and the roofing frame & the cornice overhang. The arrows (left) show the roof slopes going to the valley that leads to a blocked area of the drainage. A valley is meant to direct water flow unobstructed off the roof. This was new home construction and was either a bad plan design or possibly the plans weren't followed by the framers that framed the roof and structure. This is obviously a moisture trap and will very much so be susceptible to leaks as the right photo shows, moisture appears to already be finding a path for seepage as it usually does. This area will actually be a ponding area for drainage flow and will certainly lead to moisture intrusion, leaks leading to other issues, including mold. 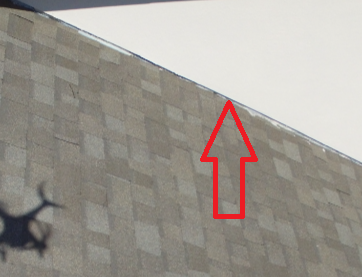 Below- Photos show other deficiencies noted on the same roof. 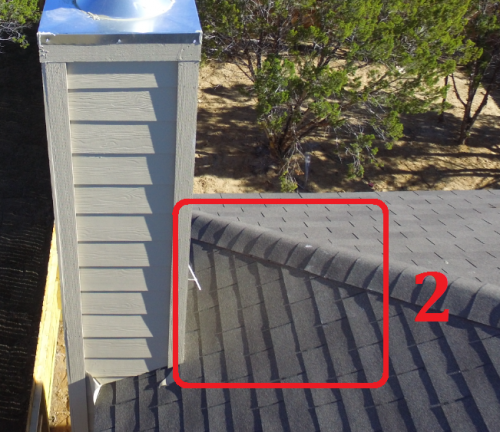 The gas vent pipe (left) is not tall enough (should be 2' over ridge - see vent illustration above section) and the stucco areas over roof do not have adequate clearance. 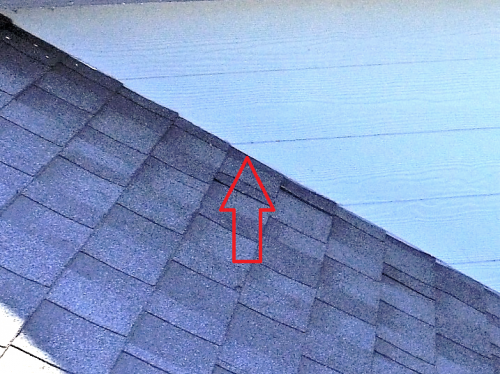 It's always best to have proper clearance (2" above roofing). Without clearance as needed the trapped moistue can't breathe to dry out and will cause accelerated depreciation of the stucco and paint as moisture will be wicked up into the materials. 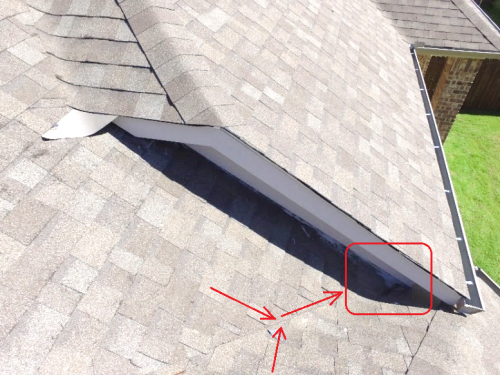 From the drone view on this roof it was clear that the stucoo did not have the proper clearance above the roofing and also that the roofing was stained or damaged. Most likely the stucco masons after making a mess on the roof with their materials, it appears that they tried to pressure wash and / or acid wash the shingles causing damage to the surface finish of the granulars. 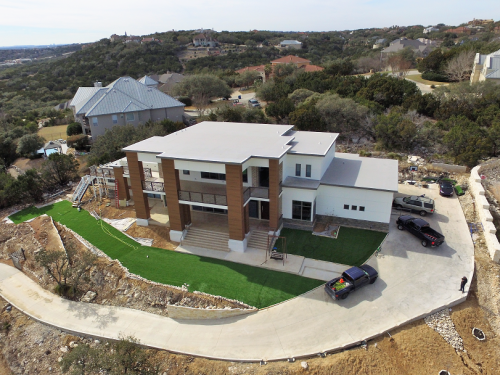 Photos above are from actual drone views from site visits by JWK Inspections at San Antonio area Home & Commercial Property Inspections.